George Bird has been leading a content bachelor's existence, working as an agricultural machinery salesman in a quiet English town. He'd probably keep going on this way until retirement or death, whichever came first, and in a sense, he has. One morning, a stop off to the doctor about a minor complaint reveals a much more severe disease. According to this diagnosis, George has Lampington's Disease, a rare condition that will cause him to fall into a coma and die within a matter of weeks. The doctor's prescription? Take the money and run. He advises George to enjoy his final days, don't just sit around and wait to die. 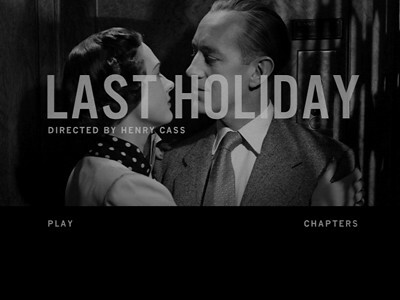 This is the premise of Last Holiday, a light 1950 dramedy by director Henry Cass (Blood of the Vampire ) and writer J.B. Priestley (An Inspector Calls. ). George is played by Sir Alec Guinness, at his stoic and most dapper best here as the meek man who is suddenly forced to adopt a whole new outlook on living. George cashes in his savings and his life insurance, quits his job, and alights to a fancy hotel a couple of hamlets over. There he will let Lampington's take over while he luxuriates in everything the hotel has to offer. Only it's not so easy to become a different person when the specter of death hangs about to make sure you remember who you are. George isn't entirely ready to relax. Decked out in second-hand suits bought off another dead man, he is seen by the other guests of the hotel as a bit of a mystery, new blood that is clearly more than he seems. For his part, George doesn't understand how to embrace idle leisure. He's too proud of being common to try to pass himself off as uncommon. 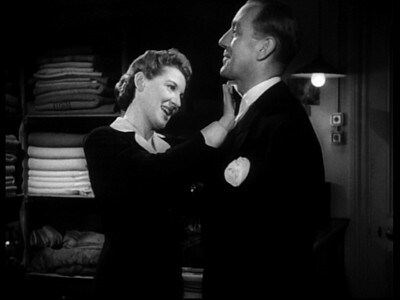 Therefore, the first friend he makes at the resort is the head maid, Mrs. Poole (Kay Walsh), whose natural empathy causes her to wonder exactly what George is hiding. Her good sense is also affronted when George later disappoints her by allowing himself to be wooed to the other side. She can't understand why a good man would throw his money after bad rubbish, but that's because she doesn't know that he will have no other opportunity to spend it. Life has taken a funny turn for George. By running out on him, it has given him newfound possibilities. Encouraged by Mrs. Poole, George speaks honestly to the other people in the hotel. He tells a blowhard politician what is wrong with his policies and a rich shipping tycoon how cheap materials have ruined British industry. He also inspires an old inventor to pick up a pencil again and helps a less refined couple (played by Sidney James and Jean Colin) gain acceptance amongst the upper crust. It's a whole lot of tough love, and George gives it in full to Sheila (Beatrice Campbell), a seemingly centered woman married to a real lout (Brian Worth). She's the one Mrs. Poole is worried about, the older woman perhaps seeing her own compulsion to come to the aid of those in trouble in George, the man she most wants to help. 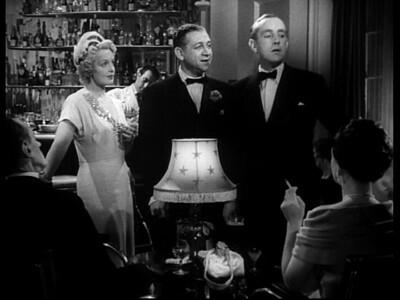 When George discovers that Sheila's husband can't pay their rent, he chastises her for not making the swindler get a job--but he gives her the money anyway. In turn, she gives him kisses on the elevator. They aren't false kisses. I think Sheila really has affection for George. Everyone does, and it's genuine. They see George as a happy-go-lucky enigma. Lucky he is, happy not so much. Ever since he received his death sentence, George has found his fortunes have totally changed. He wins at the horse raises and poker, he's got more than one woman vying for his attention, he can predict the weather, and people are listening to him and offering him incredible opportunities. Of course, he can't take them, and that goes a long way toward why he isn't happy. Just about everything has started to remind him of death. Until he started to think this way, George never noticed how many mindless clichés referenced the big sleep. 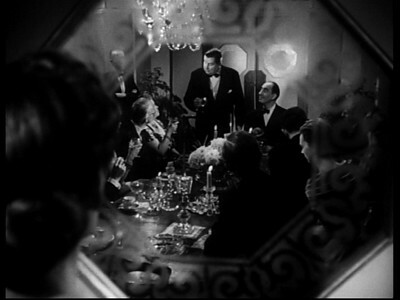 As if that weren't enough, Henry Cass regularly uses breaking glass--a window, a mirror--to transition from one scene to the next. 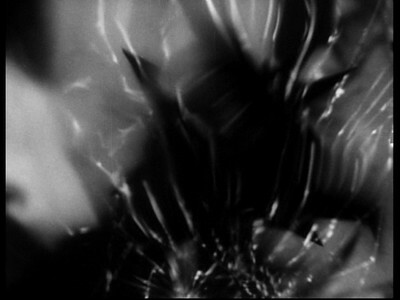 It's a little too on the bull's-eye, both as a symbol of his emotional state and as foreshadowing, but it's effective nevertheless: life is fragile and can be shattered with a light touch just as effectively as with a meaty fist. Cass and Priestly manage to balance the gravitas of George's predicament in Last Holiday with a light and breezy tone that makes this little fable of mortality peculiarly charming. The theme is that man should enjoy his time while he can because he never knows when it could run out, and even if it's too late, George still discovers what can happen when an individual stops accepting his meek and meager existence and reach for something more. With an actor as likable as Guinness, it's easy to believe that so many would take notice of him, and he's also able to give them all a piece of his mind without seeming like a beast or a know-it-all. The best moments of the movie, especially in terms of acting, are not part of the comedy; rather, they are the handful of times when George can't maintain his brave face. There are multiple quiet scenes where one of those many reminders hit him, and Guinness sits and silently contemplates where he is going. They are subtle moments, and they pass almost imperceptibly, fitting too easily in with the rest of the narrative, which itself is handled with delicate hands. Well, for the most part. There is some broad societal comedy, particularly in relation to the elderly and the female, but that stuff is outweighed by the toned-down, more ordinary actions of the other characters as they bond. Likewise, the ordinary direction never insists itself and only ever enters with pleasant and polite gestures. It's hard to say if such simple workmanship is on purpose or if Henry Cass is merely a director who gets the job done too efficiently for his own good, but as far as Last Holiday is concerned, the level playing field he establishes is exactly what's needed. George remains the star of his own story, nothing else even tries to compete. 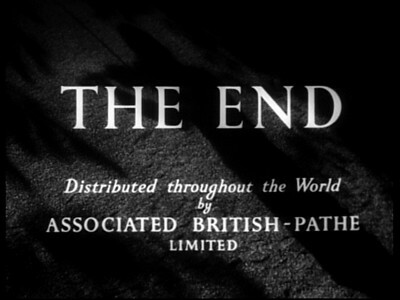 Well, that is, up until the ending. Given the nature of the picture, I never really expected Last Holiday to go the way I would have liked. My hope was that it would be a movie where a man, believing time is short, makes a positive impact on a new group of people and then nobly and happily goes to his deathbed content. My expectation was that the positive impact would occur, but that George would get some kind of reprieve, he'd find some way out of the disease. What we get is neither of those things. 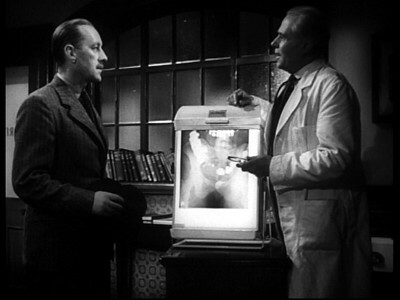 Instead, Priestley and Cass have decided that there is not enough irony in George's turnaround, and so they have to take his newfound luck and twist it further. I'm not sure if it's the right ending for Last Holiday or its common man hero. I get that their goal is to show how quickly most people forget, and how as soon as he is absent, George's seize-the-day message is dropped, the rosebuds gathered having sprouted phantom thorns. (Further irony, the only two people who stand by George are the women, the maid and the crook's wife, who jealously coveted George for themselves.) I am just not convinced that's the conclusion Last Holiday needed. It's a good ending, and it basically succeeds at what the filmmakers want to do, but it takes George out of the action in a way that isn't really satisfying. Is it fair to George to give him the new life he thought he could never enjoy, and then pull the rug out? As gods of their invented worlds, writers and directors can be capricious and cruel--not unlike the stuffed shirts they seek to ridicule. And perhaps that's the biggest irony of all. I love the film and treasure my copy, particularly since Criteron deleted iot within 2 years of its release to DVD.